❏ Today I’m speaking on Fund Your Startup – 10 Early Stage Methods (Link). If you are starting a new company, funding is one of your first challenges. Choose the wrong path and you could cripple your company. If you want to be on the right track, you can retain majority control of your company. Does this sound like something you would benefit from understanding? Let’s get started! As an Executive Coach, I help founders with the right kind of help at the right time. Recently I taught you Startup Name – 10 Name Your Startup Steps (Link). 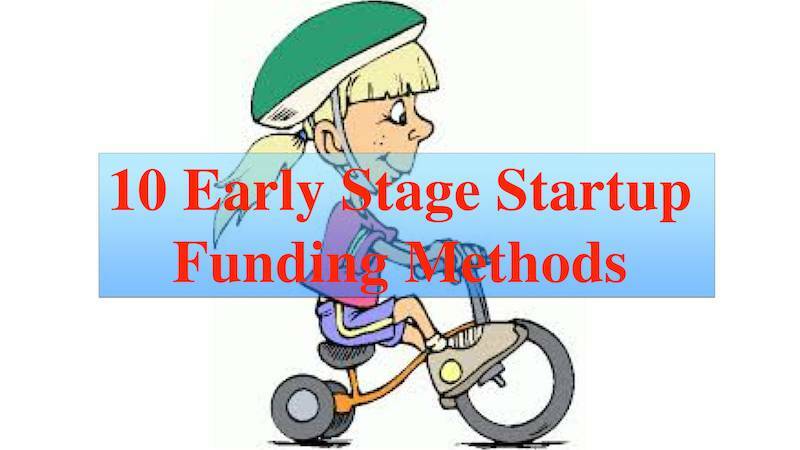 This week I’ll show you the Fund Your Startup – 10 Early Stage Methods (Link). When you’ve just gotten your Idea flushed out or just finished your MVP, you often need money. I get asked this question more often than almost any other subject. Ready to find the answers? Let’s get started! The vast majority of founders are going to get their company started using personal funds. If you’re not willing to spend your own money on your idea, why should anyone else? I usually recommend saving 6-12 months of “personal nut” money before you go full-time on your startup. What is “personal nut”? It’s the amount of money that you pay out each month for essentials. Your monthly personal nut includes rent/mortgage, electricity, water, sewer, automobile, and food. So if your “personal nut” is $2000/month, save up $12K to $24K. Work “after-hours” on your side-gig until then. After personal funds, bank loans and line of credit are often your next choice. You can choose from several forms. If you have equity in a home or land, you can usually get an Equity Line of Credit set up. Be careful and don’t borrow more than you are willing to lose. You can also borrow against your line of credit on your bank cards. Bank Loans and Lines of Credit are costly monies so think 2-3 times before you take this route. Trading equity for services is an often overlooked option. Trading equity for services may be in conjunction with other funding methods. Many times accounting firms, law firms, and others will take a chance on an entrepreneur. Firms may give you 6-month payment terms. Others may provide a certain number of hours of work for free or at a deep discount. Others may offer a significant amount of work in return for equity or a convertible note. Explore all these opportunities before you start writing checks to vendors, even if you have the money to pay them. One of the most overlooked sources of Startup Funding is Grants. There are billions of dollars in grants that are given away every year. Many endowments have no qualified person ever apply. Many grants can take a fair amount of effort to find. However, often the value of getting monies go well beyond just getting the cash. The contacts and network exposure can often be just a valuable if not more so. You don’t have to be a non-profit to get a grant either. Many of these grants are available to for-profit companies as well. Crowdfunding is a relatively recent phenomenon. Companies such as KickStart and GoFundMe are two examples. 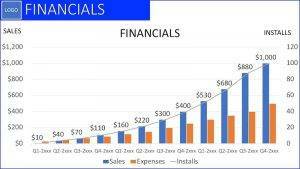 Hardware companies have been using Kickstarter and similar crowdfunding ventures with great success. Crowdfunding comes with its own set of challenges. But if your idea has a significant hardware component, you should consider it. It’s also a great way to validate your company with potential customers. Many campaigns are “over-subscribed” sometimes by 2-10x the amount the company asked. 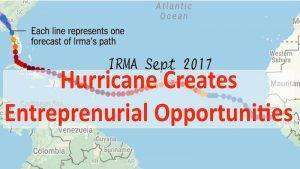 This level of crowdfunding success can make raising additional monies from Angel investors more likely and less costly. Incubators and Accelerators have been a staple of startup life in Silicon Vally for 10+ years. Many of these outfits provide Startup Funding to the companies they invite to join $100K or more. These monies are in the form of a priced round in return for ~6% ownership. There are also Incubators and Accelerators that don’t give you any money when they invite you to join. They may charge you a small monthly fee. Both types of Incubators and Accelerators provide you with access to Mentors, Coaches, Desks, and Internet. I recommend non-equity Incubators and Accelerators. I believe they bring more value to the founders. Full disclaimer. I contract for Tampa Bay Wave dot org, Tampa Florida’s premier High Technology Accelerator. Getting your company funding from your Customers is the number one method of Startup Funding that I recommend. As an Angel Investor, I am much more likely to invest in a company that already has customers. Even if your Minimum Viable Product only has 50% of its features, I’m more likely to invest in your company! I’ve worked with Software-as-a-Service (SaaS) startups that have 100% funding via Customers early product adoptions. It works and builds very loyal and happy customers. Now I’m going to talk about a Startup Funding method you need to consider carefully before using. After use of your funds and taking out loans, Friends and Family funding is often the next choice. I state to think carefully before using this funding method. I say this because our Friends and Family are people we value above all others in life. They are also often the most giving. However, if you accept money from them and lose it all, likely your relationship will never be the same. Since the majority of startups do fail, I advise against Friends and Family funding. Angel Funding is the preferred method (after Personal Funds) for getting your company Early Stage Startup Funding. Most Angel investors are high net-worth individuals. However, there are also Family Funds that do Angel Investing. Angels will usually invest using Convertible Notes, SAFE (another type of Note) or Equity purchases. The last method, Seed Funding, is less common pre-MVP (Minimum Viable Product). A Seed Fund shares much in common with a Venture Fund, but with fewer dollars. Seed Fund sizes are typical $10M to $50M in size. Investments in companies typically start as low as $25K buy can go as high as $2.5M. Seed Funds may have only a single Limited Partner, but more typically will have 5-25 Limited Partners. Seed funds most often do Equity investing. But small investments may be made for either Convertible or SAFE Notes. Larger later rounds are typically priced Equity rounds. I hope I have educated you on how to Fund Your Startup – 10 Early Stage Methods (Link). Keeping the company funded is the number one job of the CEO. I hope this article has helped you better understand your options for raising funds.